The field at Canon Park Recreational Facility is a public open space available to all residents in Berkeley. Berkeley Football Club currently uses some of the space for their football pitch. There is a football stand for spectators to use when Berkeley Town Football Club is playing at home. There is a small car park. 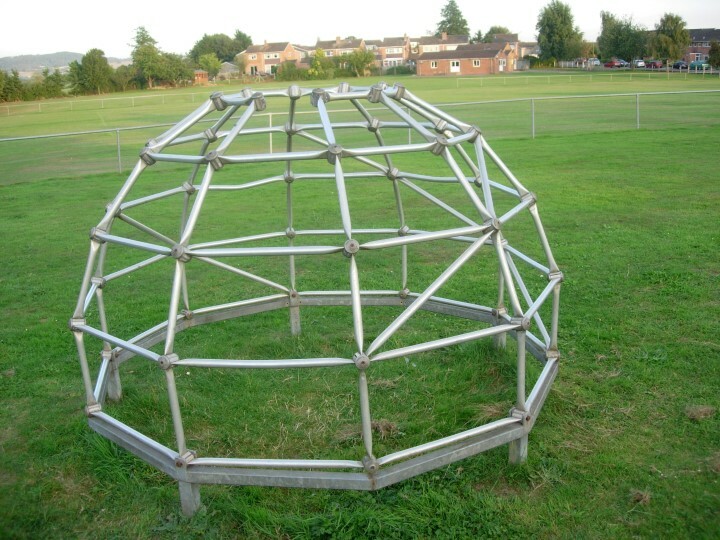 There are some swings, a slide and a geodeosic climbing frame for children to play on. Berkeley Town Council is in the really early preliminary stages of planning for the improvement and increase of facilities on the field at Canon Park Recreational Facility. We are always interested to hear of any ideas you may have for the site so please do get in touch with us.